Juan Carlos began his dance training in Guadalajara, Mexico, where he studied under several teachers including Carmen Sandoval, Lucila Arce, and Alex Zybin. He also attended summer programs at the San Francisco and Pacific Northwest Ballet schools in the U.S. and was an apprentice with the American Festival Ballet. As a professional dancer, he danced with Idaho Dance Theater and Spokane Ballet, and as a principal dancer with Charleston Ballet Theater, Ballet Idaho and Eugene Ballet Company. Juan Carlos has performed throughout Mexico, United States, Canada, India, Bangladesh, Sri Lanka, Syria, Jordan, Tunisia and Taiwan. He has worked with many accomplished choreographers including Christopher Aponte, Toni Pimble, Jill Eathorne Bahr, Lisa de Ribere, Elisa Monte, Beth Corning, Lynne Taylor-Corbett, David Berkey, Sandra Kaufmann and Martin Lofsnes. 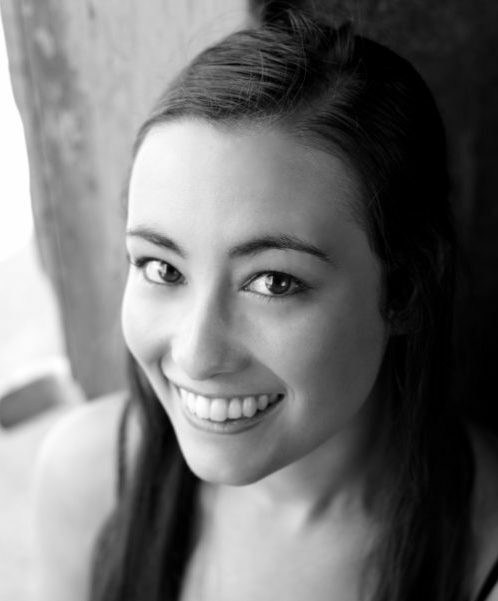 Emily Shelton is from Cincinnati, OH where she trained at the Otto M Budig Academy of Cincinnati Ballet. She received her BA in dance and BS in physics from Case Western Reserve University, where she performed works by Larry Keigwin, Mark Morris, and Pascal Rioult. Additionally, she attended summer programs at BalletMet Columbus, Interlochen Center for the Arts, San Francisco Conservatory of Dance, Mark Morris Dance Group, and Paul Taylor Dance Company. She performed with Verb Ballets and Ohio Dance Theatre in their production of “The Nutcracker” in December 2015. This is her first season with Kanopy Dance Company. Brienna has pursued her passion for dance since the age of four when she first began training with the Makaroff School of Ballet in Appleton, Wisconsin. At the age of 16 she was selected to attend the University of North Carolina School of the Arts, rigorously studying ballet under renowned instructors. She went on to receive her Bachelor of Fine Arts in Modern Dance from the University of Oklahoma on scholarship. She had the opportunity to work with Austin Hartel, Derrick Minter, Dudley Williams, Betty Jones, Nancy Allison, and Fritz Ludin among others. While at OU, she was a member of the Oklahoma Festival Ballet and Contemporary Dance Oklahoma. Her choreography was selected by OU’s School of Dance faculty to be presented in the 2009 Young Choreographer’s Showcase performance. Brienna has spent many summers studying on scholarship at the Milwaukee Ballet, Joffrey Ballet, Boston Ballet, Ballet Magnificat!, and Ad Deum. She is a ballet and modern dance instructor and choreographer for Madison Professional Dance Center, Kanopy Dance School, and A Step Above Dance Academy in Madison, WI. Sarah attended Belhaven College in Jackson, Mississippi, for two years working on her BFA in dance. She attended Milwaukee Ballet School’s summer intensive for multiple years, as well as summer intensives at the Ailey School and Masterworks Dance Festival. While completing her BFA in dance with honors form UW-Milwaukee, she worked with a variety of choreographers including Simone Ferro, Ed Burgess, and Luc Vanier. Ms. Wolf danced one season with Danceworks Performance Company in Milwaukee before joining Kanopy in 2010. Ms. Wolf is an ABT Certified Teacher in Primary through Level 7, and currently teaches at Kanopy Dance Academy, First Position Dance Studio, and Beloit College. Erica Pinigis is a Madison, native and started her dance career at the Kanopy School for Contemporary Dance and Choreography. Erica received her BFA in Dance from the University of Minnesota. After graduating, she produced and choreographed “Ooh La Lounge: An Evening of Dance and Jazz” at the Suburban World Theater and the Varsity Theater in Minneapolis. She was curated by the Red Eye Theater for her collaboration with Erinn Liebhard: Lulladreams and Insomnimares, and was an Artist in Residence at the Anderson Center for Interdisciplinary Arts. Erica has performed in Madison and Minneapolis with the Kanopy Dance Company, Peel and Core Dance Company, University Dance Theater at the University of Minnesota, Zenon Block E performance group, the Eclectic Edge Ensemble, and Marylee Hardenbergh’s Global Site Performance. Erica migrated to the Bay Area in 2008 where she was a company member of several local groups including Facing East Dance & Music, Paco Gomes & Dancers, the Natasha Carlitz Dance Ensemble, Slick Babble Dance Project, H2O Dance, and Bianca Cabrera’s Blind Tiger Society. Erica completed her MFA in performance and choreography at Mills College where she was honored with the E.L Wiegand award for excellence in performance and choreography. Jessica trained at the National School of Canada. As a student, Jessica had the honor to perform with the National Ballet of Canada and the Kirov Ballet (Mariinsky Ballet). She also studied at Interlochen Arts Academy, graduating with academic and artistic honors, performing lead roles and dancing along side the Martha Graham Company. Jessica received her BFA in dance and her BA in political science from the University of Michigan, where she danced works by Peter Sparling, Lucinda Childs, Merce Cunningham, and others. Alaina hails from Milwaukee, WI and began dancing at a young age with Wauwatosa Recreation dance school and Miss Connie’s Studio of dance. At the age of 14 she joined the Milwaukee Ballet School to continue her training in Ballet. Throughout her years there she attended Milwaukee Ballet School’s summer intensive where she trained in many forms of dance and worked with a variety of choreographers including Rolando Yanes and Petr Zahradinicek. Alaina also attended summer intensives at Mystic Ballet of Connecticut, working with choreographer Brian Enos, and Eisenhower Dance of Michigan where she worked with Laurie Eisenhower, Lizzie Meckenzie and Darby Wilde. After high school, she was accepted into Milwaukee Ballet’s second Company where she danced for one season performing works by Michael Pink, Nadia Thompson, Rolando Yanes, Petr Zahradnicek, and Brent Whitney. While with Milwaukee Ballet she also had the opportunity to teach with their outreach program for Milwaukee public schools. Last Year Alaina began working and teaching with Danceworks Performance Company of Milwaukee, she also had the opportunity to work with UW-Milwaukee’s Dancemakers summer dance program. Alyssa grew up in Stone Bank, Wisconsin. She started dancing at the age of 4. She trained at the Milwaukee Ballet School and attended their summer intensive program where she performed original works by a variety of choreographers including Karl Von Rabenau, Nadia Thompson, and Denis Malinkine. Alyssa received her BA in dance from Point Park University’s Conservatory of Performing Arts. At Point Park, she performed original contemporary works by the likes of Judith Leifer-Bentz and Nicholas Petrov. Brad comes from a diverse background in sport, martial art, and ballroom. Brad's formal dance training began at the University of Rochester working with the Program of Dance and Movement, UR Ballroom, and the Ballet Performance Group. Brad also trained with Park Avenue Dance Company, Rochester Dancesport, Koresh Dance Company, Madison Professional Dance Center, and Biodance, interning with the lattermost in 2010. After earning the University's first Minor in Dance (along with degrees in Computer Science and Psychology) in 2011, he moved to Madison and joined Kanopy as an apprentice in 2013. Brad has also danced with Bill Evans, Guy Thorne, Kista Tucker, and Madison Contemporary Vision Dance, and originally hails from Buffalo, NY. Hannah is originally from Seattle, WA where she started her early dance training under the guidance of Anne Green Gilbert with Kaleidoscope Dance Company and Marie Chong with Arc School of Ballet. In 2015 Hannah received a B.F.A. in Dance and the Excellence in Choreography Award from George Mason University in Fairfax, VA. During her college career she was generously funded by grants from the Undergraduate Research Scholars Program and her choreographic research was presented at the 2014 National Conference on Undergraduate Research. Hannah also attended summer programs at San Francisco Conservatory of Dance, Alonzo King LINES Ballet, Mark Morris Dance Group, Keigwin + Company, and Paul Taylor Dance Company. After college, she taught dance classes for the Maryland Public School District and performed with Metropolitan Ballet Ensemble. Hannah spent last year training with Kanopy 2. This is her first season with Kanopy Dance Company. Michael Knight began his professional dance career with Madison Contemporary Vision Dance where he held the position of Associate Artistic Director. He has performed a wide range of contemporary modern dance and classical ballet, and has taught for companies throughout the United States and internationally. At the age of 21, Michael was invited to instruct collegiate level dancers in Sichuan, China for an international education program at Sichuan University. In 2016 Michael started the Transcendence Dance Company, a preprofessional training program in dance. His students have been accepted to prestigious professional companies for both summer and year-round study including School of American Ballet, Ballet West, and Pacific Northwest Ballet. He is honored to have been awarded numerous choreographic and technical execution awards for his dances, including the Outstanding Choreographer at the Taoli World Dance Competition and the Youth American Grand Prix Outstanding Choreographer award. Mandy graduated from Interlochen Arts Academy as a dance major in 2010, and went on to receive her BFA in Ballet Performance from the University of Cincinnati. During her time at University of Cincinnati she’s studied at the Beijing Academy of Dance in Beijing China and received an award of excellence for her work ‘Girl in the Bell’. Upon graduation Mandy began working with Dance Kaleidoscope under the direction of David Hochoy. During her three- year tenure at Dance Kaliedoscope she worked with regional choreographers including Brock Clawson, Stephanie Martinez, Nick Owens and Keisha Lalama. Mandy currently dances with Winifred Haun and Dancers based in Chicago IL and has danced with projects such as Simantikos Dance, Ground Rhythmn Movement and Cocodaco Dance Project. Mandy is also a certified Pilates instructor. She is grateful and excited to be joining Kanopy Dance for their 2018-19 season. Cryssanne Wittlief, received her undergraduate degree in Dance Performance/ Choreography from Hope College, where she also performed with the H2 Dance Company. She began dancing at the Kehl School of Dance in Madison at age 4, taking ballet, jazz, and tap classes. She was introduced to Martha Graham technique in college, by instructors William Crowley and Matt Farmer. Wittlief also worked with guest choreographer Sharon Wong, and performed at the Edinburgh Fringe Festival. She is thrilled to represent Madison’s very own professional Kanopy Dance Company. Gisela Baldwin began her early dance training in Racine, WI, first under the direction of Danelle Davies and later under the instruction of Linda Bennett and Marc Darling. She continued her study of dance at the University of Iowa, earning her BA in Dance as well as a Certificate in Performing Arts Entrepreneurship. Following college, Gisela moved to Madison where she danced with Madison Contemporary Vision Dance for several years. She currently serves as a dance instructor, the Dance Team Coordinator, and an administrator at A Leap Above Dance in Oregon, WI. Gisela is looking forward to continuing to expand her knowledge of dance and is excited to be a part of Kanopy. Richard is originally from Texas where he grew up competing in gymnastics and cheerleading and was named “America’s Number One Male Cheerleader” four times by the National Cheerleaders Association. He graduated from Case Western Reserve University in Cleveland, Ohio with a Master of Fine Arts in Dance, and was the recipient of the Edna Raphael Award in Excellence in Performance. Upon graduating he studied at the Martha Graham School of Dance in New York City, where he was accepted into their teacher training program and most recently had the honor of performing for the [email protected] Studio Series. In 2015, he performed as a member of the Los Angeles based dance company Diavolo: Architecture in Motion Company B. Notably, he was invited to perform at the 2012 World Expo in Yeosu, Korea and was also invited to appear on Season 7 of America’s Got Talent. He has been a backup dancer for Patti LaBelle, danced in Cameron Mackintosh’s Hey, Mr. Producer!, and danced for Princess, Carnival, and Royal Caribbean Cruise Lines. After attending The New England Center for Circus Arts and the San Francisco Circus Center, he joined Norwegian Cruise Lines as a principal acrobat and dancer, then toured internationally as an aerialist and fire eater with Aerial Angels Circus Company and Aerial Experience Productions. In 2011, Oaxaca worked with MTV and CMT television networks in conjunction with the Ringling Brothers and Barnum and Bailey Circus to coach circus performers for the reality television show Made. Most recently, Oaxaca served as an adjunct professor at Case Western and before that performed as a mainstage dancer and performer in Disney's Aladdin, A Musical Spectacular, aboard the Disney Fantasy Cruise Ship portraying the part of The Magic Carpet. This is his first season with Kanopy Dance Company.